In the spring of 2006, I was accepted to the MA Euroculture programme in Poland. Childhood memories suddenly took over me: my Mom playing Chopin – ballad, nocturne, waltz and mazurek (mazurka). Music filling the house. A lovely cake with a similar name, full of walnuts and raisins baked by my Granny. 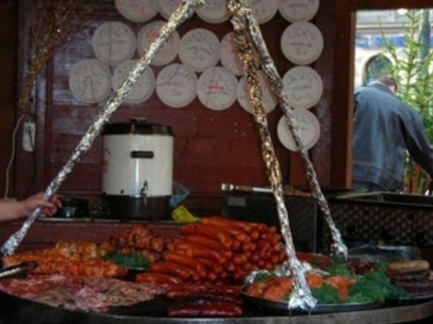 This specialty, consonant with Polish dance, is an integral part of Polish cuisine. These memories are my first links to Poland. The flavour and fragrance of the cake turned the music of Chopin from a subject of aesthetic addiction into an integral part of home warmth and comfort. Amusingly, other memories are also connected to those gustatory and odoristic aspects. I remember the taste of Polish strawberry jam and oatmeal biscuits, szarlotka, trickled pastries and other Polish dishes. Our grandmothers knew how to cook them because, due to similarity of circumstances, they appeared in Uzbekistan together with Poles. We have bright sun, generous nature, and an abundance of fruits, vegetables and berries. For that reason, wonderful fruit and berry aromas of Polish cosmetics, popular in our country, felt close and familiar. My childhood memories about Poland are fragmentary, chaotic, irregular. Books on the shelves: Adam Mickiewicz, Henryk Sienkiewicz, Jerzy Stawiński, and brilliant aphorisms of Jerzy Lec. I remember the movies of Andrzej Wajda, fine faces of Polish actors, perfect beauty of actresses: Beata Tyszkiewicz, Ewa Szykulska, Barbara Brylska with delicacy, culture and healthy dignity always impressive in their characters. Incidentally, these features carried to the point of absurdity had frightened us in Russian operas where Poles were portrayed as vain, arrogant people. Besides Chopin, Poland has other famous brands, reflecting the scope and depth of the scientific, artistic and spiritual potential of the Polish nation. Copernicus, John Paul II, Krzysztof Penderecki: graduates and honorary doctors of Krakow’s Jagiellonian University which supplement the city’s list of brands. And this was the university where I was going to be studying. The childish joy I experienced through my acquaintance with Poland is hugely strengthened in Polish restaurants, delicious food distributed by someone’s generous hand in open air cafes. The hospitality, warmth and generosity of Polish people make you feel as if you are surrounded by your closest relatives. In Poland, you are invited to homes, you are surrounded with care and love every minute. For that reason, it doesn’t take long until you perceive Poland as your second home and get excited every time you hear a Polish word uttered. Living in Poland, be prepared to gain extra weight. Hanging out with friends is intrinsically combined with delicious café experiences. And in Krakow it becomes an addiction. 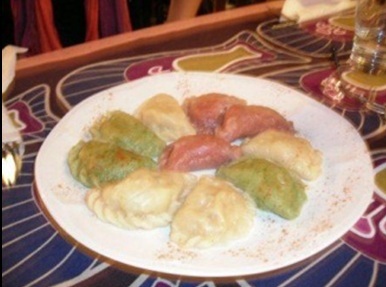 Probably, the most famous Polish specialty worldwide is pierogi (variation of dumplings). These yummy stuffed pies amaze you not only with their number of fillings like mushrooms, buckwheat, berries, strawberries … but also colours. I have never tried such beautiful and colourful pierogi in all my life! Polish soups are also a special part of the menu. The most traditional and remarkable to me is zurek, which is usually served in freshly baked bread. This rather substantial combo often turns out to be your meal of the day! If you are in Krakow for Tłusty Czwartek (Fat Thursday), you will have the chance to try fabulous local donuts, pączki, filled with rose petal jam. Once again, a return to childhood! My Granny made rose petal jam as our garden was full of roses! The best place for pączki is Rynek Główny (Main Market Square), where the largest number of donuts is distributed. You are too late? Don’t worry! You can try this dessert in one of Krakow’s numerous coffee houses along with excellent hot chocolate, kawa (coffee) or herbata (tea). The selection of herbata will surely amaze your imagination. It may contain all types of berries, herbs and even flowers from local forests. It was in Poland that I tried blueberries for the first time, and they immediately became one of my favourite berries. In Krakow, you buy berries, fruits and vegetables not only in shopping malls but also from farmers’ markets (in Uzbekistan we know them as bazaars). For that reason, food in Poland has a wonderful taste that you always think about. While travelling between cities of Poland you can admire the beautiful farms that produce the food you can then enjoy. 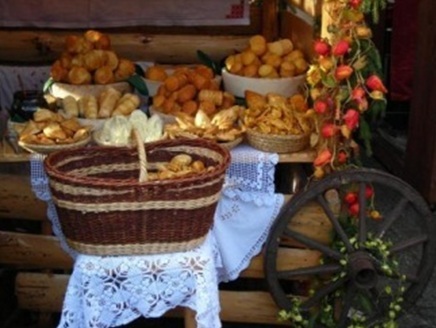 Poland is famous for its desserts, especially szarlotka, sernik (cheesecake) and makowiec (pastry with poppy seeds). Amazingly, the Poles even add poppy seeds to pasta! Even having lived in a warm country, I have never seen poppy seeds in such huge quantities as in Polish cookies. Szarlotka in Krakow is also worth trying! It seems quite unusual to me. First, it comes warm, while we serve it cold. Second, the apples were thinly sliced, while in my country we usually slice them in rather large pieces. 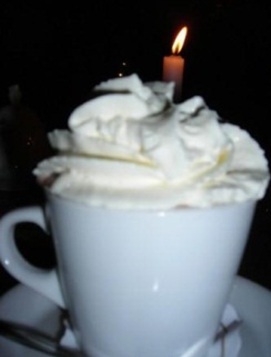 It tasted fabulous, in candle light and accompanied with kawa! Luckily, I also experienced winter time in Krakow, when I saw beautiful Christmas decorations and ate carp, kiełbasa (sausages) , several types of zapiekanka (bread roasted with mushrooms and cheese), wonderful smoked cheese (oscypek) with jam as well as flavoured ginger breads. Don’t miss the local liquor based on honey, mied, along with Żubrówka (vodka with herbs), which are both are available in shops and restaurants.If you favour a vegetarian diet, bar sałatkowy (salad bar) Chimera at ul. Św. Anny 3 will be a true discovery for you, with the best choice of vegetable and fruit salads. As a student, it is of crucial importance to know a wonderful café in the old part of town: Massolit at ul. Felicjanec 4. Massolit has a great choice of books in English which you can read in the café while sipping herbata. Books can be either bought or exchanged. Several years have passed since I graduated from Jagiellonian University but the warmth and hospitality of the people, and the charm and ancient spirit of the city and university remain in my heart. Suzanna is from a city of Oriental fairy tales – Samarkand in Uzbekistan. She studied English language and literature in Samarkand State Institute of Foreign Languages for BA. In 2008, Suzanna graduated MA Euroculture from Jagiellonian University in Krakow and Deusto University, San Sebastian. Suzanna works as tour guide in Samarkand, writes blog for Uzbek Journeys in Australia and travels as much as possible. Previous My life as an IP intern? 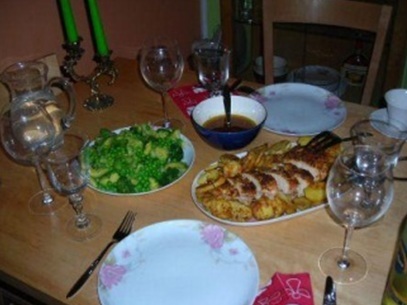 For me Polish cuisine is so tasty… I can’t live without this. Pierogi, bigos, schabowy – the best choice! Of course, pączki are delicious too 🙂 I like your post about Krakow! Greetings!